Barcelona is a worldwide famous city that englobes the best of mankind, nature, art and culture. 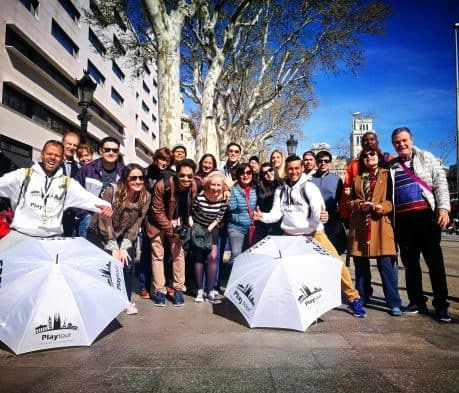 We have the great privilege to live and explain the wonders of this amazing city via GuruWalk Barcelona. Why is Barcelona so great? Well, without a doubt, because it’s the place where thousands of cultures converge. Just walking around La Rambla you can easily hear 20 languages in a matter of seconds. World-class events are always available, from an opera concert in Palau de la música catalana, Teatre Liceu or even in the narrow medieval streets of the Gothic Quarter, to a Champions League football match in Camp Nou. 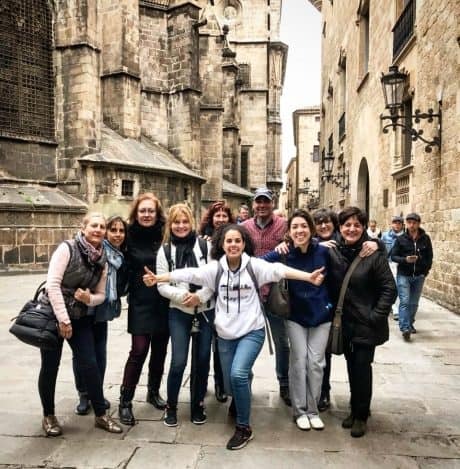 And best of all, a walk with us, Play Tour guides, listed on GuruWalk, where you will get to know more about the history, legends and secrets of the Gothic Quarter and the masterpieces of Gaudí. 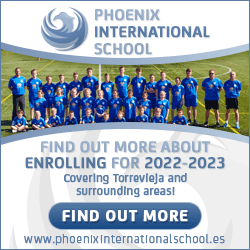 In the morning, you could be admiring the skyline of the city from Parc Güell or Tibidado surrounded by nature and in the afternoon you could be in one of the best city beaches in the world. Thanks to Guruwalk, we have met people from all around the globe, most of them from countries such as Argentina, UK, Germany, the United States, but also from very surprising places like Kosovo, Guyana and even eSwatini (formerly Swaziland). Many people and many cultures! The beauty of the walks we provide is that not only we have the chance of sharing with visitors the love we feel for the city but also to learn from each one of them. Thanks to them, now we know that our Patron Virgin, the Virgin of La Mercè, is also patron of the argentinian city of Tucumán. That the Sagrada Familia is taking longer than the Great Pyramids to be completed. Or that Johan Cruyff, the Dutch football legend, named his son Jordi due to his love for Barcelona. Why Jordi? Because Jordi is the most common name in Barcelona (it translates to George), and Sant Jordi is our Patron saint, who we also share with England, Georgia and many other places. 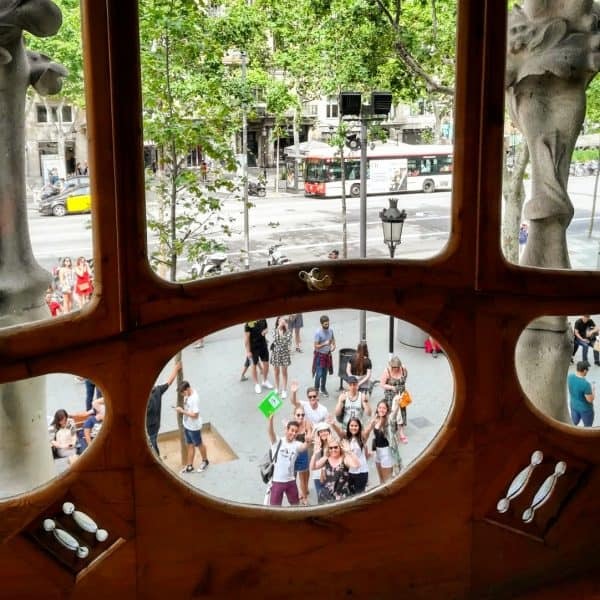 In GuruWalk Barcelona, we are more than happy to show you around, and have a great time! Barcelona, with its amazing people, diverse cultures, exquisite cuisine, vibrant feelings and breathtaking buildings, is waiting for you!